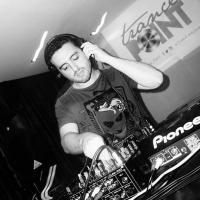 Akku is a rising and talented Spanish Trance producer and DJ who is highly influenced by a classic Trance style. Having been growing up listening to electronic music masters from the 80’s and Trance artists in the late 90’s, Akku was inspired to commence his own music production. His first official track, Asgard, was released in 2004. He has a weekly radio show called ‘Travel To Infinity’s Adventure’ which made its debut in November 2011 on the then famous and now miss, Trance.fm. His radio show is still ongoing today; broadcasted weekly on some well-known online radio stations. Alongside Edu NRG, Akku managed another popular radio show called 'Afterburner' on Afterhours.fm broadcasted throughout the whole season from 2012 to 2013. In addition to the above-mentioned achievements, he also DJs at events; both locally and internationally. Some of his notable gigs are headlining several times in Madrid and Dusseldorf, playing in Switzerland alongside RAM and in Ibiza.